Rob Heppell: Welcome to the Your Best You Today show. I’m your host, Rob Heppell, and I am joined with health expert, Dr. Kevin Jackson. 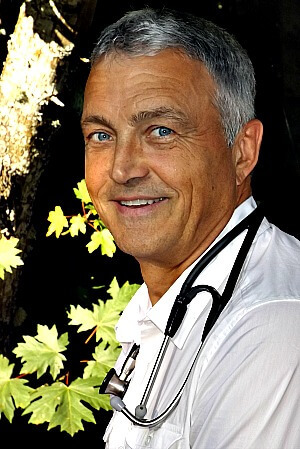 Kevin is a naturopathic doctor and has been helping people find natural solutions for their health issues for over 25 years. With the Your Best You Today online radio show, we’re going to dive into common health issues and explore natural solutions to them. Welcome back to the show, Dr. Kevin. Dr. Kevin – Hi Rob, thanks for having me. Rob – So what are looking at today for a topic? Dr. Kevin – Not really Rob, because if you look at the real science behind this topic, the truth is undeniable. The French have the highest average cholesterol in Europe but the lowest incidence of heart disease and half the heart attacks that North Americans have. Half of all heart attacks occur in people with normal cholesterol levels. Lowering cholesterol does not improve health outcomes. Rob – I thought statins reduced the incidence of heart attacks? Dr. Kevin – Statins appear to have positive effect because they have a weak anti-inflammatory effect, and inflammation does cause heart disease. Perhaps the biggest “sham” of all is that statin drugs, touted as “preventive medicine” to protect your heart health, can actually have detrimental effects on your heart. For example, a study published in the journal Atherosclerosis showed that statin use is associated with a 52 percent increased rate of calcified coronary plaque compared to non-users. Coronary artery calcification is the hallmark of potentially lethal heart disease! Recent research also shows that statins can effectively negate the benefits of exercise, which is one of the primary heart disease prevention strategies! The study, published in the Journal of the American College of Cardiology, discovered that statin use led to dramatically reduced fitness benefits from exercise, in some cases actually making the volunteer LESS fit than before. Rob – So statins are bad for you? Dr. Kevin – Statins are beyond bad for you AND they cause many nasty side effects. There are over 465 studies showing their adverse effects, some occur right away; others crop up after years of use. Some cease when medications are discontinued; others don’t. By blocking the body’s production of CoQ10, statins cause serious problems ranging from potentially fatal muscle inflammation and wasting to congestive heart failure. So if you must take statin drugs then you absolutely must take at least 100 mg of CoQ10 daily. Statins also interfere with at least 20 biochemical pathways in the body. Cognitive problems affect about 15 percent of statin users, including episodes of temporary amnesia called transient global amnesia. Statins have an adverse effect on tau, a protein made by brain cells that helps maintain their structure. Abnormal tau proteins are linked with neurodegenerative diseases like Alzheimer’s, Parkinson’s and ALS. Statins also can cause progressive mild to severe cognitive decline and anxiety, depression, inability to deal with stress, as well as violent behavior. Statin-takers are more likely to develop peripheral neuropathy, and to experience tremors and vertigo. Dr. Kevin – The reason is about the victory of proprietary interest over science and logic. increasingly narrow, making it easier for an embolus or a plug to completely shut off blood flow, resulting in either a heart attack or a stroke. When cholesterol was found to be a major component of arterial plaque, the “cholesterol theory of heart disease” was born. It was a knee jerk reaction to believe that high cholesterol levels cause atherosclerosis. The truth, however, is not so simple. Cholesterol is an anti-oxidant, a repair and healing molecule. The body produces more of it in response to stress and tissue damage, when repair and healing are needed. Remove the causes of the body’s distress, like inflammation and oxidation, and you lower the type of cholesterol linked to the plaque. Cholesterol is the band-aid the body uses to fix the damage caused predominantly by lifestyle – change your lifestyle and no more need for the band-aid. cholesterol-lowering drugs. Now, although unbiased science has disproved the cholesterol theory, these companies have an enormous vested interest in keeping the cholesterol myth alive and well, and they’re doing an excellent job of doing just that. Pfizer’s Lipitor (atorvastatin) is the best-selling drug of all time. It brings in ten billion dollars a year and has quadrupled Pfizer’s net income. Statins account for a total of about 35 billion dollars annually in sales. Rob – How prevalent is the use of these drugs? Dr. Kevin – One in five Americans over the age of 45 take statins and a total of about 25 million Americans take a statin drug currently. Rob – So if cholesterol is not the cause of stroke and heart disease…what is? Dr. Kevin – The real problem in heart disease is oxidized cholesterol. Normal un-oxidized cholesterol is harmless. This is why some people with normal cholesterol levels get heart attacks while others with high levels do not—the difference is in the amount of chronic inflammation in their bodies and whether or not their cholesterol is being oxidized. It doesn’t matter whether your cholesterol is high or low. response to injury, irritation or infection. It neutralizes harmful microorganisms, helps repair wounds (often by calling in cholesterol, which is a component of scar tissue), and cleans up debris. However chronic inflammation is an unhealthy condition which generates a constant supply of free radicals that overwhelm our anti-oxidant defenses. Unchecked free radicals create further damage generating more inflammation, and a vicious cycle is underway. Arteries work hard, see a lot of wear and tear and are constantly being repaired. In a healthy body, this repair work involves temporary inflammation and an influx of cholesterol that subside once the repair has been made. The problem is that most of us have a diet and lifestyle that promote chronic systemic inflammation. Rob – How do we know if we have chronic inflammation in our bodies at any given moment? Dr. Kevin – Unfortunately, most North Americans suffer from chronic inflammation, caused by a variety of factors that seriously undermine health and cause premature aging. Common inflammatory diseases resulting from an “inflammatory cascade” include, allergies, Alzheimer’s, asthma, arthritis, autoimmune diseases, bursitis, cancer, cervicitis, colitis, cystitis, diabetes, gastritis, heart disease, hepatitis, infections, myocarditis, nephritis, neuritis, osteoporosis, prostatitis, sinusitis, tendonitis, and vaginitis. Even our children are increasingly suffering from “diseases of aging” in epidemic numbers. To put an end to this tragedy, we must learn how to prevent and reverse chronic inflammation. Rob – So let’s stop the inflammation and oxidation and move people away from that litany of diseases you just listed. What’s involved? Dr. Kevin – Well Rob that’s the million dollar question and that’s what a lot of these podcasts are about – getting healthy to avoid chronic disease most of which involves inflammation and oxidation. We tend to be our own worst enemies by failing to get enough anti-oxidants from fresh fruits and vegetables and potentially from supplements. This sets the stage for chronic diseases like atherosclerosis. In an unhealthy body, normal arterial damage is not fully repaired and leads instead to chronic inflammation and free radical damage. The body manufactures more and more cholesterol which is rushed to the scene, becomes oxidized and forms more and more plaque. What are the components of our inflammatory diet and lifestyle? The deadly metabolic poisons sugar and refined grains such as flour and rice have an enormous inflammatory effect on the body. Stress is a major player in stroke and heart attack. Trans fats and rancid fats are an important contributor to heart disease and greatly increase both inflammation and oxidation. inflammation. According to a 2005 study in Archives of Internal Medicine, fish and flax oils, both high in omega 3 fats, have prevented more cardiac deaths and total mortality than statins. Dairy and grain-fed animal proteins contain an inflammatory balance of fats; avoid farmed fish that are grain-fed, and get meat from grass-fed animals. Eating too much grain and animal protein versus fruits and vegetables creates systemic acidity, another cause of inflammation. A diet deficient in folic acid, B6 and B-12 causes an unhealthy accumulation of homocysteine, a pro-oxidant and pro-inflammatory substance that is linked to heart disease. Chronic infections are inflammatory and can damage arteries. For example, some pathogens that cause gum infections are found in heart disease; for healthy gums, get plenty of vitamin C and CoQ10. Chronic stress, allergies, insufficient sleep, being overweight and lack of exercise all have inflammatory effects. Many environmental toxins are pro-inflammatory and pro-oxidant. Chlorine, for example, is a powerful oxidizing agent capable of causing extensive damage to blood vessels—so we put it in our tap water. Rob – So shouldn’t we drink bottled water or purify our tap water? Dr. Kevin – Well Rob, bottled water is just water in a bottle there are no regulations on what bottled water is. You are better to purify your water at your tap using a carbon based water purifier. cardiac mortality than any other single factor. This fat-soluble vitamin gets incorporated into cell membranes where it prevents oxidation of cholesterol and other fat particles. CoQ10 assists vitamin E. Beta carotene, vitamin D, alpha lipoic acid, selenium and zinc are all important anti-oxidants to include. Avoid ingesting oxidized fats—do not purchase the usual supermarket oils. Minimize cooking with fats, and when you do, use organic ghee, coconut oil or olive oil on low heat (don’t let the pan smoke). Store olive oil away from heat and light. Refrigerate nuts, seeds, cod liver oil and flax oil. Heart disease is both preventable and reversible. There is no need for drugs or surgery. Don’t let the cholesterol myth confuse you. Exercise regularly and supply your arteries with excellent nutrition—eat a good, plant-based diet and high-quality antioxidant supplements. Keep inflammation down and you keep heart disease away. Rob – You also mentioned stress as a player in cardiovascular health – how does it fit into the mix? Dr. Kevin – stress is one of the biggest killers on the planet, and, like sugar, far more of a danger to us than cholesterol ever was. Stress hormones age (and shrink) an important area of the brain called the hippocampus, which is involved in short-term memory. Stress hormones also trigger the release of inflammatory chemicals in the body called cytokines, which makes stress a double threat when it comes to heart disease. Stress can exacerbate nearly any disease, not to mention that it can slow, or even prevent, recovery. And stress can actually foster weight gain—the major stress hormone, cortisol, causes the body to retain weight around the middle. And fat is inflammatory by nature. So there you have it in a nutshell Rob.